ATLANTA -- An 86-year-old jewel thief who has kept jewelry sellers on their toes since the 1970s has struck again, police say - this time by slipping two $2,000 diamond necklaces into her pocket. 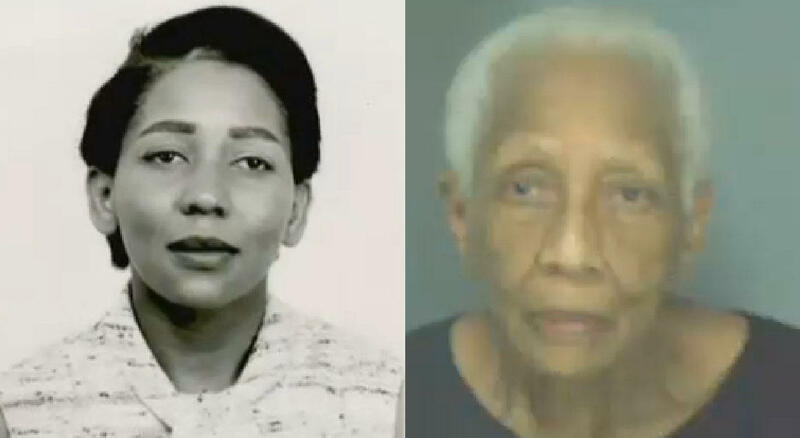 Doris Payne, who has been the subject of a documentary and casually said during an Associated Press interview earlier this year that “I was a thief,” was arrested Tuesday at a Von Maur department store outside Atlanta. Payne was arrested after she put the necklaces in her back pocket and tried to leave the store, Dunwoody police spokesman Mark Stevens said in an email. She faces a shoplifting charge. Online jail records did not show any bond information, and it wasn’t clear whether Payne had an attorney who could comment. Attorney Shawn McCullers, who represented her last year when she was accused of pocketing a $690 pair of earrings from a Saks Fifth Avenue department store at a mall in Atlanta’s upscale Buckhead neighborhood, said in an email Wednesday that he was not currently representing her in the latest arrest. Authorities have said Payne has lifted pricey baubles from countless jewelry stores around the world in an illicit career that has spanned six decades. The legend of Payne’s alleged thefts have long fascinated the public and media, with countless news stories and a 2013 documentary film, “The Life and Crimes of Doris Payne,” detailing her feats. “There’s never been a day that I went to steal that I did not get what I went to do,” Payne says in the documentary. When asked about her exploits in the interview with The Associated Press earlier this year, she said simply: “I was a thief.” Speaking to CBS affiliate WGCL after a theft arrest in Atlanta last year, Payne said she freely admits to her crime if she’s caught. “As any officer – have I ever been arrested and lied?” Payne told the station. Atlanta police have called her a career criminal, the station reports. Court papers in Atlanta reference six cases prior to the alleged theft last year, mostly in southern California, dating to 1999. Payne told the AP she realized a simple distraction could make it easy to slip out with a fancy trinket in hand after a friendly store owner let her try on watches as a child and then forgot she had the jewelry on. Her career was born in her 20s when she got the idea that she could support herself by lifting jewelry. WGCL reports she’ll often ask clerks to try on multiple pieces of jewelry in the hopes that they won’t notice one of the items missing. Payne, who appeared effortlessly elegant and spoke with calm deliberation during the interview with the AP, nevertheless grew cagey when asked about her methods.